Drivers Unlimited is the finest luxurious transportation provider as well as Bridgeport specialists. We provide an array of transportation services to meet different client needs and a range of events. Our Bridgeport Limousine Service is the perfect transportation solution for all your activities and events in and around Bridgeport. Whether you are headed for the airport and need a reliable transfer or you have a group of friends looking to spend a night on the town, we have a solution for you. Our knowledge, experience and drive for success and customer satisfaction are all reflected in our excellent service. Let us provide our high-class transportation for all your events including, weddings, birthdays, bachelor nights, bachelorette nights, corporate events, meetings, appointments and various group transportation needs. Travel in ultimate comfort when you travel with Drivers Unlimited. We are the local experts with inside out knowledge of Bridgeport and surrounding areas. You can trust our team to always provide the most efficient ride by selecting the most optimal routes. We can transport any group size and our team can help you plan any event with our Bridgeport Limousine Service. At Drivers Unlimited we are known for our reliable service and the luxury experienced when traveling in our top-quality vehicles. Bridgeport Limousine Service provides the most relaxed way to travel, putting you at ease when you know that our reliable chauffeurs and dedicated staff are giving 100% to get you to your final destination in the most safe and comfortable manner. Our premium service is available 7 days a week, 24 hours a day and is backed by our second to none customer care. No matter where you are headed, we are here to assist you. From the moment you contact our team, we will look after all your needs and take care of the fine details, guaranteeing that you enjoy a safe and efficient trip. We look forward to serving you in the near future. Bridgeport is a historic seaport city in the U.S. state of Connecticut. 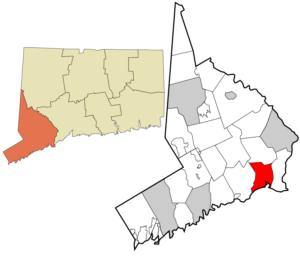 The largest city in the state, it is located in Fairfield County at the mouth of the Pequonnock River on Long Island Sound. Located 60 miles from Manhattan and 40 miles from the Bronx, it is bordered by the towns of Trumbull to the north, Fairfield to the west, and Stratford to the east. 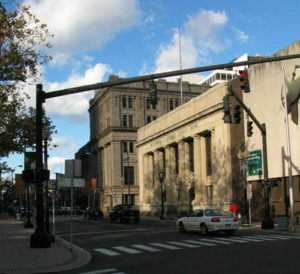 The Greater Bridgeport area is the 48th-largest urban area in the United States. Bridgeport was inhabited by the Paugussett native American tribe at the time of its English colonization. The earliest European communal settlement was in the historical Stratfield district, along US Route 1; known in colonial times as the King’s Highway. Very closeby, Mount Grove Cemetery was laid out on what was a native village that extended past the 1650s. It is also an ancient Paugusett burial ground. The English farming community grew and became a center of trade, shipbuilding, and whaling. The town incorporated to subsidize the Housatonic Railroad and rapidly industrialized following the rail line’s connection to the New York and New Haven railroad. The namesake of the town was the need for bridges over the Pequonnock River that provided a navigable port at the mouth of the river. Manufacturing was the mainstay of the local economy until the 1970s.